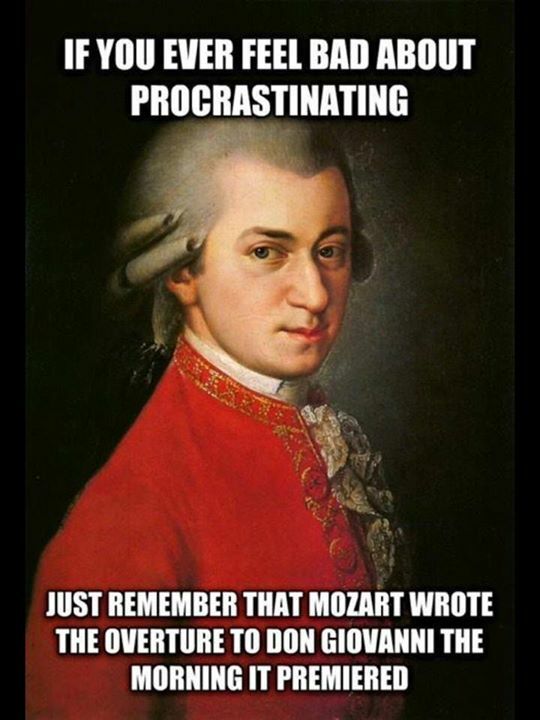 Mozart died penniless and dejected. Don’t make his mistake! The semester is still young!